MANDY Director Panos Cosmatos Talks Nicolas Cage & The ‘Mythical’ Year Of 1983 | Birth.Movies.Death. You've already heard us at BMD say it a million times over, but Mandy might be THE movie of 2018. A psychedelic revenge picture that takes you straight to Hell and back, Nicolas Cage's wronged everyman Red goes on a rampage against a religious cult (not to mention the demons they summon) who stole away the love of his life. It's a balls-to-the-wall, gore-soaked descent into red-filtered madness, and we can't wait to watch it again and again. Birth.Movies.Death: In other interviews, I've seen you describe your previous film (Beyond the Black Rainbow) as your "inhale", and Mandy as your "exhale", and I was wondering if you could elaborate on that a bit? 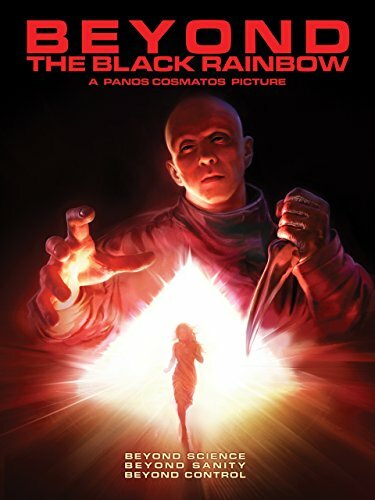 Panos Cosmatos: Well, [Beyond the Black Rainbow] was the film that I started writing after my dad died, and I realized that the grief from his death was compounding on top of my mother's passing some years earlier, which I'd never dealt with properly and was still coping with. After Rainbow, I started to feel this need to explore the flip-side of that. I became fixated on the idea of the revenge drama, which had a very stripped down kind of quality. Unconsciously, I was expressing two sides of the same coin, or using two movies to solve the same equation. [Mandy] became an antidote the grueling process of writing Black Rainbow, which was so emotionally draining. BMD: Now, you keep returning to 1983, as both Rainbow and Mandy are set in the same year. What does the year 1983 mean to you? PC: Both of these movies exist in a sort of "mythical" realm, and that's was 1983 represents: the realm of imagination where, when I was a kid, I would look at VHS tapes of horror movies and pulp novels. I'd read the backs of them and look at their cover art, imagining what they actually looked like based on those paintings and descriptions, because I wasn't allowed to rent them. But that's what 1983 truly is for me: this intangible realm of memory and imagination. BMD: What about [Nicolas Cage's character] Red? What part of your memory or imagination does he come from? PC: Well, the visual images of Red were triggered by people that I encountered during my childhood. As a kid in Guadalajara, Mexico, we lived in this bungalow complex, and there was a plainclothes drug cop who had long hair and a beard and would practice firing around the building. One afternoon, I remember he was with his girlfriend and the two came roaring by on his chopper, her hair rising and falling in the wind. There were clouds gathering above, and he was wearing chrome-plated shades. 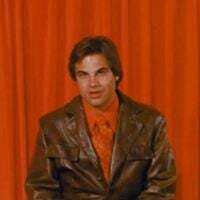 The image of this guy just became stored in my mind for years, and eventually became Red. BMD: And how did you and Nicolas Cage work together to bring Red to life? Because it truly is one of his absolute best performances. PC: Nic is just an amazing, incredibly diverse performer, with this massive range, and I realized I could utilize all of that in this particular story. So, when we were talking together about the script, we decided early on that his character would start as a normal man and then - after the incident with Mandy happens - his humanity kind of gets stripped off, and Red becomes this raw nerve, or animal. Nic just took that and transformed it into this complete character, where we watch him transform before our eyes. BMD: There's a scene in there where the transformation happens - a one take in a bathroom - that's just fantastic. I've been telling people they need to play it at Cage's funeral when he dies, because it's so cathartic. PC: [laughs hysterically] Well, thanks. I can probably think of a couple others that should probably be played first, but it's nice to know that's in your head. BMD: Your film is also purposefully hallucinatory, and I wondered how you approached bringing those sort of 'acid trip' visuals to life? PC: That's just what I'm drawn to. You know, most of it just comes from watching movies, honestly. There was a time in my life when I would literally go see every single film that came out in the theaters. No matter what. I just became obsessed with movies, and wound up getting drawn to the pulsating grain of film and the flickering of the light. After a while, I started imagining my own films super-imposed on top of them, so that's how that aesthetic began to form. BMD: Mandy also is blessed with the final score from [Sicario] composer Jóhann Jóhannsson, who collaborated with [drone metal guitarist] Stephen O'Malley to create this black metal stoner soundtrack. How did you guys come up with the sonic texture of the film? PC: One of the first things I said to them was that I wanted it to sound like a disintegrating rock opera. We were both on the same page in the sense that we wanted to sort of evoke and interpret stuff from the past, but filter it through the future. Because that's really what Mandy is: all of these elements from the past, brought into the now.